Mapping of the IoT reference model and the example schema of the Buildings IoT from my last post on the SkySpark® ecosystem. To stop the flashing, click on links to the original posts below. 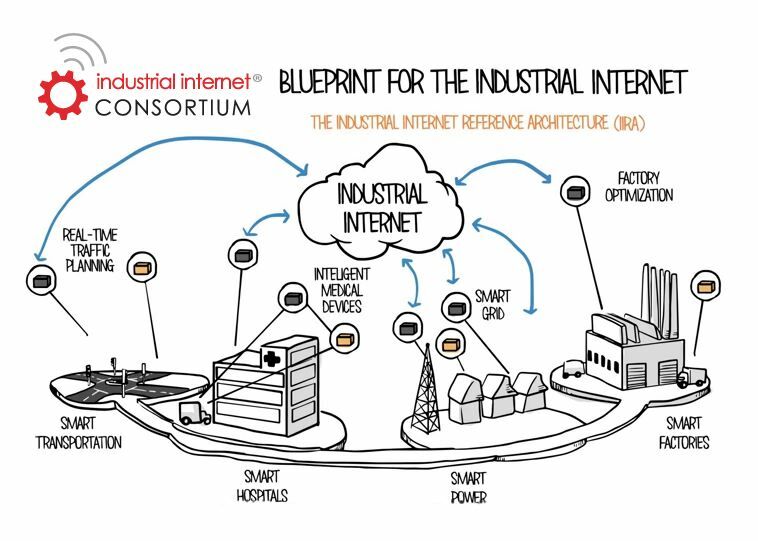 On June 17th the Industrial Internet Consortium, with companies like Cisco, Intel, GE and IBM at the core, formally released its IoT Reference Architecture Document, making it available for complementary download. When I wrote about the first public showcasing of the reference model at the IoT World Forum in Chicago in October, the resulting BuildingContext post was among the most popular over the last year. For those working in the building systems integration industry who have long wrestled with the challenge of merging information technology (IT) and real-time operational technology (OT), the concepts contained in the IoT Reference Architecture are great validation of the work already accomplished. Here’s a GIF overlay of the IIC IoT Reference Architecture and the Buildings IoT of today, using the SkySpark Ecosystem that I covered in my last post as an example. The Buildings IoT industry has other solutions for the 1 through 7 IoT Reference Model Levels as well. The animation is my attempt to convey how the the two models overlay, using graphics from two of my previous posts. There are multiple solutions from the SkySpark ecosystem for each task mentioned, and there are other analytics engines that are at the center their own emerging Buildings IoT ecosystems. In other words, this mapping is a start, not a definitive list. It does illustrate that our industry is leading, not following, in IT/OT convergence. I’d like to hear from more value-added software developers and value-added re-sellers about this rendering. It may be worth filling in the gaps, showing just how vibrant our native Buildings IoT ecosystems are. Otherwise, we may be overlooked. Click here to see the ‘explainer’ video from Real Time Innovations (RTI inc.). The Buildings IoT is so far past the “Blueprint” stage that it would be illogical for the Industrial Internet Consortium to include ‘Smart Buildings’ in this round of publicity for the IIRA. But, leaving them off ‘the map’ is also a glaring omission.